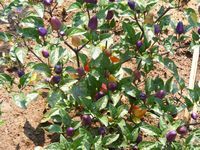 Chinese Five Color is a colorful ornamental and edible hot pepper generally thought of as an heirloom variety from China. 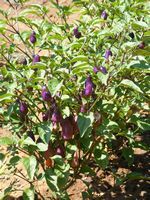 It can grow up to 45cm tall, are bushy and well-branched and has green stems with purple markings and dark green leaves with a purple blush. 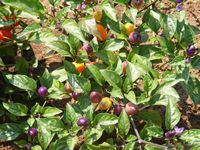 The conical peppers can grow to about 5cm long and is best known for their multiple color changes as they ripen through the season. They ripen from purple, cream, yellow, orange to red. 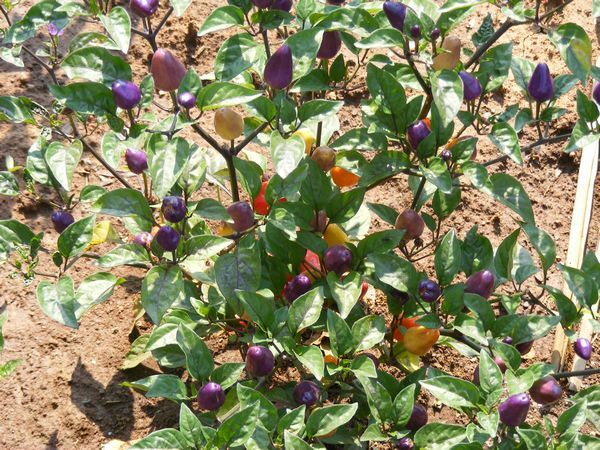 It's common to have all colors present on a plant at the same time. The flavor is quite hot and the young fruits are sharper and mature fruits are sweeter in taste. 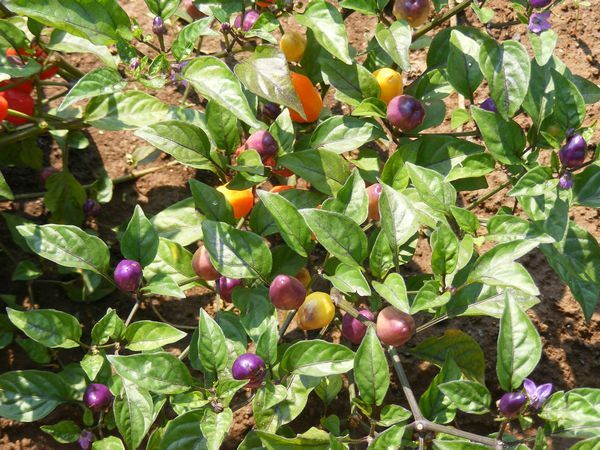 Plants take 85 days to produce fruit after planting from seedlings. 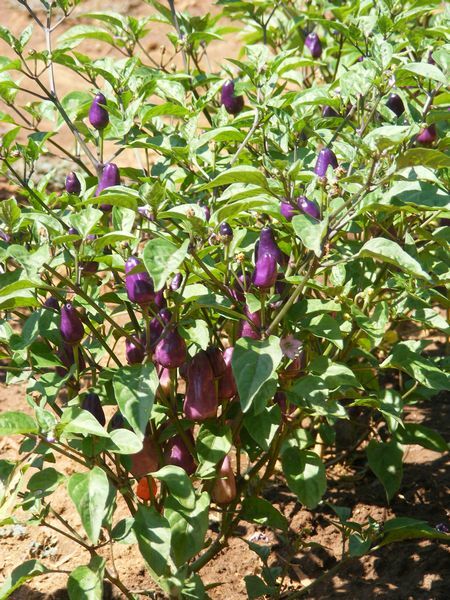 Chinese Five Color chili pepper is a beautiful ornamental and edible plant suitable for growing indoors, as bedding or container plants as well as vegetable garden standards. They need rich, well-drained soil in sun. Most of the heat comes from the pithy ribs, inner lining and seeds of the pepper, so keep this in mind when cooking with them. It measures Scoville: 5,000 - 30,000 units. Is a food preservative in the tropics. Rich in vitamin C, stimulates the appetite and cool the body, especially in hot climates, by increasing perspiration. This cooling effect creates a feeling of calm and benignity. Tonic and antiseptic. Internally: Stimulates the circulatory (varicose veins and poor circulation). Gastrointestinal detoxifier.